Most Wanted Top Ten Cydia Apps 2011 As in case of iPhone apps available at the official App Store, some Cydia applications come free of cost, while other can cost you anything starting from US$0.99. In fact, Most Wanted Ten Cydia Apps are costlier than their App Store counterparts. While they do cost you a few bucks, there is no doubt about the fact that it is worth spending for these essential Cydia apps for iPhone (and other devices with iOS as their default operating system.) 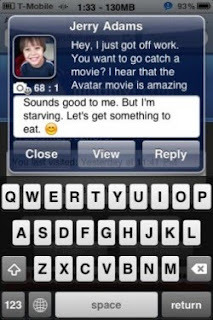 Given below is a list of Most Wanted Ten Cydia Apps 2011 which you can’t afford to miss out on. We covered your favorite Cydia applications in 2009, then we made some changes for 2010, but finally, in 2011, we refresh everything. New pictures, new descriptions, and new Cydia apps for your perusing pleasure. In 2011, iOS is scheduled to hit the iPad 2, iPhone 5, and next-gen iPod Touch, and for that we have you covered on what jailbreak apps to use. Now's the perfect time to jailbreak with the new GreenPois0n RL5 Beta, so get that iOS 4.2.1 device jailbroken and read on, we've got the Cydia apps you've been craving. For returning fans, we've removed four apps from our list because of redundancy with the iOS4 update - no longer do you need "Categories" to create folders or "Cycorder" to record video, and the old "Firewall iP" app has been replaced with a more useful Grooveshark app, the same was done to the "SwirlyMMS" app. Installous is a one-of-a-kind app for iPhone and iPad, it provides unparalleled opportunity to download old apps and apps that the real app store wouldn't allow. New for 2011 is a better search engine built into the app that doesn't rely on the old, slow Appulo.us repository of apps (as a matter of fact, Appulo shut its doors not too long ago). On the iPad particularly, multitasking with the Installous app works incredibly well to search, download and find the IPA files that you know and love. The new Installous works off of a surprisingly fast engine on either iPhone or iPad and manages to bring a cohesive "App Store"-like experience to your hacked apps. Installous is definitely one of the best Cydia apps available. Note: The install process remains the same, you need to add the hackulo.us repository to Cydia. Simply go into Cydia, navigate over to Manage, then click on Sources, and click Edit in the top right hand corner, then Add on the top left corner, once you’ve clicked add, type in “Cydia.hackulo.us” into the http repository screen. Then tap on Add Source and it’ll give you a message about piracy. Click OK on the message and download Installous through this new repo! Grooveshark, need I say more? One of the most popular music streaming sites online brings its wares to the iPhone exclusively through jailbreaking. For those who need a primer on Grooveshark, the online service that's totally free for desktop users brings iTunes-like music search to the cloud. Users upload songs to the web server and then you can search through them for practically any song imaginable, even obscure ones. When it comes to the mobile service though, it really boils down to how you feel about the $9 monthly fee for using the app. Because of the 3G connection, it's possible to stream any and all songs to the iPhone while you're out on the road. This could mean that you could queue up all the songs you'd normally keep on your iPhone/iPod from the cloud directly to your phone. The subscription is a high price to pay for many, but try it out, see if it works for you, I enjoyed it quite a bit and keep a subscription going for queuing up songs at parties and during long car rides. 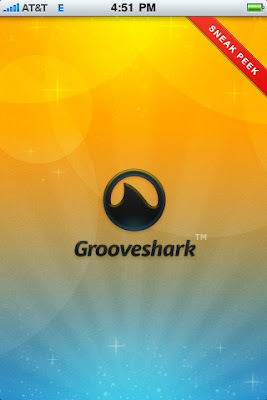 NOTE: To Install the Grooveshark app, just search in the normal Cydia Repository for "Grooveshark". After many long years of waiting and anticipation, XBMC finally brought their amazing Media Center app to the iPhone and iPad, and it works quite well. 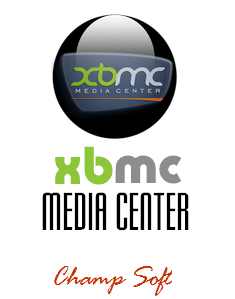 Rather than bringing a skimpy mobile version of XBMC, their dev team decided to bring the full experience to the iOS devices. The app loads in a reasonable amount of time and has all the add-ons and skins found in the original. On the front end, the app looks great and plays videos like VLC media player would on your iOS device. It's nice to be able to enable scrapers and information for all your movies and TV shows right there on your iPhone/Pad. TV Shows, Movies, Photos, and Music all streaming to your iDevice also work well and attach to your existing network infrastructure. The install process is rather simple, just follow the instructions posted at this link and you'll be ready to go. Unlike SwirlyMMS from last years' top ten Cydia apps list, iRealSMS comes with a hefty price tag of around $12, but is worth it when you consider the amount of features iRealSMS brings to the table. Android features come to the iPhone with this update, in particular pictures for contacts on your phone and QuickReply. Quickly replying to text messages is something that you don't realize you need until you have the app in place and working. No longer will pop-ups intrude your apps only to have you switch back to the texting app in order to respond. But much more than that, iReal provides much needed SMS privacy settings, searching, forwarding, and folders for your texts. If QuickReply is all you need, however, there is a much cheaper (~$3) app in the store that has solely this feature. This way, you get the best feature of iRealSMS without needing to pay full price for it. OpenSSH is a must have extension for your jailbroken iPhone/iPad that's totally free. It allows you to open an SSH connection to your phone in order to play around with the internal file structure and remove/add files. This allows you to move IPA files around, transfer photos and shuffle any files around through your PC. If PC connections aren't your cup of tea, iFile for the iPhone/iPad manages to provide the equivalent of Android Root Explorer for the iPhone. If you want to check through your file structure right there on your phone, it's possible to do so with this Cydia app. Maybe iOS 5 will bring Wi-Fi Syncing to the iPhone and iPad, but until then, this app provides a perfectly reasonable alternative. All it requires is that both your iPhone and PC with Apple installed be on the same network together. Once you have the app downloaded and the required program running on your PC (with either Mac OSX or Windows 7), the software interfaces with your iPhone a single time and pairs it with your PC - much the way a Bluetooth device would be paired with its counterpart. Once both devices are paired and ready, the software on the PC tricks your computer into thinking your iPhone is hooked up to it via USB. 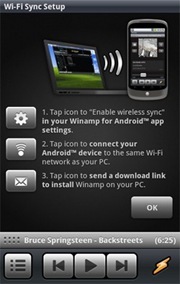 Then it proceeds to sync wirelessly through your network. The retail price for the app is $9.99, which may seem a bit steep, but considering that many of the iPhone users I've met don't ever hook up their iPhones to their PCs, but rather to chargers, this idea of wirelessly syncing your files, photos, videos, and music is something quite extraordinary, that Apple might want to look into in their next iOS update. Total Transparency: I ran the app using my new iPhone 4 and it ran quite well and fast - your mileage may vary when it comes to earlier iOS devices. Cylay 4.2 brings together form and function for a powerhouse of an app that is a must-have for older generations of iPhone devices. Where "Find My iPhone" has taken the place of this app on newer gen iPhones (3GS and 4), there is still no acceptable alternative for this functionality on the older iPhones. Cylay functions as essentially an all-in-one security app to ensure your phone is safe and in your possession at all times. Cylay doesn’t really bring new features to the table, but it is an incredible Cydia app that no one should be walking around without. Finding your phone on their intuitive new website makes retrieving your device easier than ever. SBSettings is an essential (and totally free) applications. Right after you jailbreak, after OpenSSH, this should be the second app you download off Cydia. 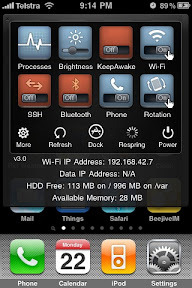 SBSettings overlays a menu that contains the basic functions of the system “options” menus. This overlay menu is easily accessed by swiping the bar at the top of the screen with the time and contains things like Brightness, 3G, Wi-Fi, and other switches to turn things on and off. Bar none, this app is the most useful thing inside Cydia for your daily use of the phone. Especially being able to control brightness inside ANY application will show you that your jailbreak was not in vain. MCleaner is basically the iBlacklist app for the iPhone, but a bit more sophisticated. Unfortunately, unlike last year when a vast majority of the Cydia apps on the store were free, MCleaner too is not free. However, you can give it a 15 day trial and see if it is for you. What it basically does is MCleaner creates blacklists and whitelists of callers that you can decide upon. Then, you can even choose how the phone will ignore a blacklisted caller for instance. Several other security features make this an incredible app as well, even though it is a bit on the pricey side ($11.99). You can fake data instead of showing the network you typed in a wrong password, SMS previews on the lockscreen can be disabled as well, and even SMS can be filtered to prevent annoying people from contacting you. Other paid Cydia apps are cool to have if you need them, but 3G Unrestrictor is a relatively cheap ($3) app that is vital if you’re ever going to take your iPhone into the “Unlimited” plan you actually purchased it for. In 2009, I advised you to get VOIPover3G, that app has been discontinued and has been replaced by a bevy of 3G restriction-lifting apps. 3G Unrestrictor continues to be the cheapest and best of the best. What this app does is it enables you to access the 3G network for things the iPhone would normally block by tricking it into thinking that it is operating over Wi-Fi. This means that you can make Skype calls out on the middle of the highway, or watch videos over Slingbox while waiting in the doctor’s office that doesn’t have Wi-Fi. Personally, lifting the 10 Mb limits on the App Store and iTunes respectively is awesome – because now larger podcast downloads are just clicks away. Further information for 3g Unrestrictor you can find it here. 10 best shopping cart wordpress plugins. What could easily be the perfect way to fillip your ecommerce in WordPress? Well, there are certain cool WordPress plugins for ecommerce so can cause your online market effortless. Using the plugins you can appreciation your ecommerce in a jiffy and so continuing to without spending a hill of beans. There are a monkey of revolutionary Plugins too can boon you in marketing everything based on information from digital offerings to content to arts. To aid your arena efforts we had by now as long as a larger amount of as opposed to a dozen of ecommerce application. Review list of best WordPress shopping cart plugins. Covers top 10 free and premium WordPress shopping cart plugins to sell digital goods, products on WP. 10 Best Shopping/Ecommerce Plugin Solutions For WordPress. eShop is an to be had shopping cart plugin for WordPress packed amidst sophisticated features. Tagged in 10 best wordpress plugin for ecommerce 2011, 2011 best wordpress e commerce plugin, authorize.net integration free wordpress. WP-eCommerce is the only plugin for WordPress worth looking at when it. Free WordPress Themes | Best WordPress Themes | Free WordPress Templates | Best WordPress Templates 10 Powerful Shopping/Ecommerce Plugin. What could easily be the perfect way to fillip your ecommerce in WordPress? Well , there are certain cool Wordpress plugins for ecommerce so can cause your. This little bit we undergo a well-researched insert of 10 powerful WordPress plugin for shopping and ecommerce websites. eShop is an to be had shopping cart plugin for WordPress packed amidst sophisticated features. eShop uses WordPress pages, or posts, to put up products. There are distinct resources accessible for list the products. Various resources around for record products. It offers you to download info and upload downloadable products. The uncomplicated statics and transactions info while by the plugin is pretty handy. The Admin has entrance to an circumstances handling section. It sends automatic emails on top notch purchase. The emails templates are user configurable. Various discounts opportunities are as well available. eShop provides a monkey of defrayals opportunities who include- Authorize.net, Paypal, Payson, eProcessingNetwork, Webtopay and Cash/Cheque. What’s a greater amount of it permits a good amount of shipping options. WP e-Commerce sophisticated plugin for WordPress is a easy and easy to use totally featured shopping cart tool the present can be depleted to sale your products, services and fees online. It is a Web 2.0 tool planned to bidder usability, presentation and aesthetics. WP e-Commerce is able to be a one thwart shop for people wrestling amidst bands & biggest Labels, clothing companies, crafters & artists, books, DVDs & MP3 files. WP osCommerce or the WP.osC plugin for WordPress is a revised version of the popular ecommerce answer osCommerce. WP.osC gives you to integrate osCommerce amidst existent WordPress website. The plugin reads most recent products, random products, top 10 smartest marketers all on your WordPress blog provide page. It adds a dynamic widget in your blogs sidebar to screen the products. Flshow Manager Wordpress plugin for ecommerce can be a handy answer for ones matured surrounded by static flash galleries, headers, menus and intros. In this type of case, it is hard to determine that aspects of the site can be modified for the duration of WordPress, and that cannot be changed. flshow Manager has been heard constructued to manage the fantabulous flShow Photo Carousel within the duration of the comfort of WordPress dashboard. The carousel propositions an top notch platform to score the offerings of eCommerce amid sought after header. Else you can hello prove off your photography portfolio. QuickShop aides any WordPress so has the Sidebar Widgets installed. Quick shop adds the SideBar widget so indicates the user how properties already experience in the cart and offers them to remove the items. 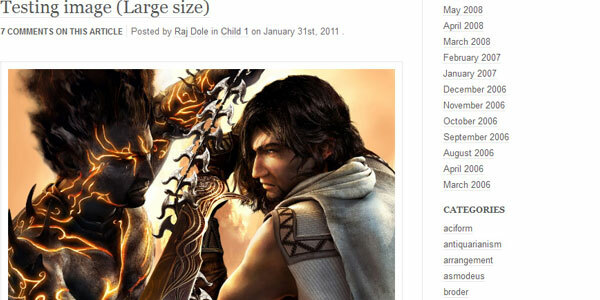 There is a TinyMCE button which offers you to add packages to your posts/pages. It allows two widgets – Paypal and larger number of for customized solution. It characteristics both Paypal Subscription and Donation tags. Users can generate several product choices in a drop-down. It characteristics an stock register linked in to TinyMCE and a complete time period of formating for widget layout in Quickshop. In addition, it gives a checkout page. Are Paypal is a quality WordPress plugin who supplies monitizing WordPress blog content paying Paypal. That’s a cool way of causing traffic by selling your knowledge. It gives you to set the Post/Page to contain hidden content. To visitor keen to view the content has to perform a supplied aim when in a message.The content could be set as hidden for unregistered users and visible for registered. In a similar way the content can be set as hidden for unregistered-unpayed users and visible for registered-paid users. The search engine engines should simply see the visible content. The administrator can grant the users entrance to content for definite payment. These parts can be configured employing the administrative screens. The plugin uses Paypal IPN – Instant Payment Notification protocol to put up a utterly automated payment/content delivery. WP Simple Paypal Shopping Cart is one of the a multitude of widely exhausted ecommerce applications. This WordPress plugin permits you to add an Add to Cart button on any offer or page. 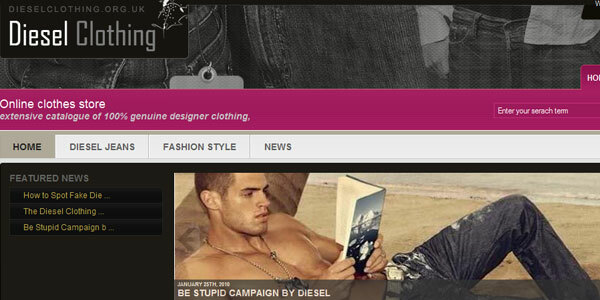 The shopping cart is displayed on any send back or web page or half bar easily. In the shopping cart users can see how properties already hold in the cart. It too offers the to remove any item out of the cart, if required. ArtPal is free of charge ecommerce WOrdPress plugin for artists who wanna sale this run online. It offers easy PayPal integration amidst recently the address. Artpal supplies true instant sells updates as eventually as the item transactions and disables it so overly it is not purchased twice. ArtPal becomes larger amount of powerful through substantiation based on information from organizations unkind business. It’s Digital Sublimity supplies commercial substantiation ensuring the the pivotal tool is able to continue up and running when its needed. WP Auctions is one of the a good amount of innovative ecommerce plugins for WordPress which supplies users to host auctions on such a blog or website without any expenditure. It does not cause register fees, seller fees, ultimate class fees, gallery fees or any a good deal more kind of fee for anything and everything you wanna arrangement online. Once the auctions is listed, user can list your Plugins in on the WP Auctions Live web page and produce particularlly income for your website. Some of its exclusive parts put in uploading different images for every auction; re&wshyp;selling items alone on Buy It Now basis; RSS feed for your auctions and suggests 3rd party ads when there are no auctions. It’s just payment selection is PayPal. 10 Best Simple Shopping Cart Wordpress Themes. WordPress does have quite a number of competitors but it has always been known to blow away its competition simply because too many plugins and WordPress themes are available for the WordPress blogging software. Ecommerce wordpress themes. Simple Cart is a simple and great looking theme. 10 Excellent WordPress Themes for Portfolios and Galleries. 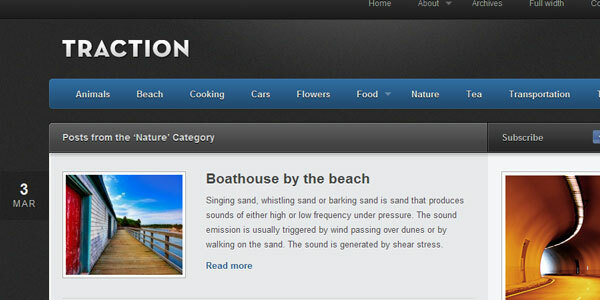 There is a plugin for everything, a WordPress Theme to match anyone’s taste. The WordPress community has lately diverged its concentration from free WordPress themes to paid ‘Premium’ WordPress themes. However, that doesn’t mean you can’t have a good, cool and awesome Free WordPress Theme for your blog if you don’t have a budget for the premium wordpress theme. That’s exactly where this post falls into the scene. We have collected some of the most famous, some of the most favorite Free WordPress Themes that many WordPress designers has perfected over the years. Hope you like it. See the top 10 best Wordpress Magazine-style Themes that you can't miss! The Source Theme A simple look at the demo of Source Theme will justify that this theme. Add-on module system enables shopping cart, galleries & more. 10 Best shopping cart Wordpress Themes. A WordPress ecommerce theme can be easily added to your default WP installation to transform your regular blog into a well oiled online ecommerce store. E-commerce themes for WordPress come in all shapes and sizes. Whether you need to sell physical products or digital products from your WP storefront, there’s a theme that can do that. There are several free WP store themes available if you’re just getting started and need to save a few dollars. Review list of best WordPress shopping cart plugins. Covers top 10 free and shopping cart plugin comes as a WordPress theme that you can install. Best Free Wordpress Themes Rated by Users, Live Demo and Free Download. top wordpress themes, wordpress shopping cart, wordpress themes download. 10 Best ecommerce WordPress themes for your online business. WordPress shopping cart plugins can be easily integrated with the theme. Here is the collection of best new premium ecommerce wordpress themes and shopping cart for your wordpress ecommerce. The downside of using a free WordPress theme is that they’re not well supported or updated and you may not want to take the risk of something breaking and then losing customers. A great alternative is a premium WordPress ecommerce theme that includes quality support and frequent updates. Below we’ve put together a review list of the best WordPress ecommerce themes available today. These include both premium and free themes that you add to your WP site to start selling today. For more WordPress resources to improve your online store, see our list of premium WordPress plugins. ShopAholic is organised ecommerce WordPress theme. The theme supports Multi Column displays up to 4 columns to display your products. Theme provides wide featured slider to promote top products. 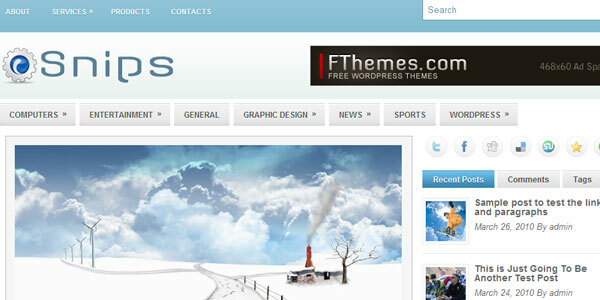 Theme offers Category customization, Scrollable latest products. Old browsers like IE6 compatible. 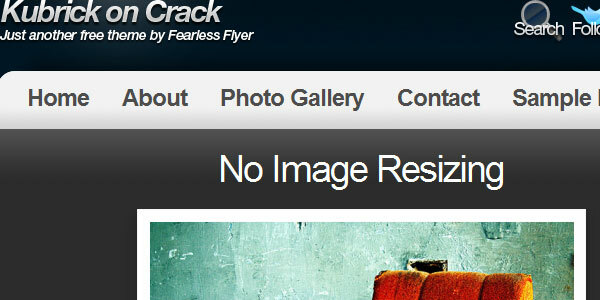 Images are also automatically resized. eShop ecommerce WordPress theme is very easy to install. Unlike other themes you don’t have to install every component step by step. The theme comes with built in shopping cart that supports multiple gateways like PayPal, Google checkout, bank transfer and more. The theme supports all the blogging functionalities. The price is reasonable because the theme comes with all the shopping cart features. enVirashop is a very neat ecommerce WordPress theme designed to sell but also provides an exciting shopping experience. The theme comes with Custom favicon, custom logo, 5 shopping cart colours, custom banner texts and featured post. eStore by Elegant Themes probably is the most stylish WordPress ecommerce theme out there. I find it a bit hard to setup the theme at the beginning but once you are done you will have a very stylish estore for sure. They offer 30 days money back guarantee. eStore theme comes with five unique color schemes. WordPress shopping cart plugins can be easily integrated with the theme. Product images are automatically resized into thumbnail. Elegant theme offers great product support. Wp FlexiStore is integrated with WP E -Commerce plugin to create a versatile and feature packed WordPress powered shop, with 3 different layout options and unlimited color possibilities. You can mix up content on the homepage with swappable content areas, and change between 2 different footer areas, or use both! Wp FlexiStore is a versatile WordPress ecommerce theme that you can re-brand it to suit your business by simply changing a few settings. rgbstore is a pretty cool WordPress ecommerce template. Theme comes with three color variations: red, green and blue. Other features are: Custom Post Type for Slider, Custom Post Type for Testimonials, Menu Manager, Auto Image Resizing with New Post Thumbnail, 2 Sidebar Position, 6 Page Templates, Custom Widget, jQuery Slider, Multi Level Dropdown Menu, Cufon font replacement, Cross Browser Compatible, PSDs files Included. 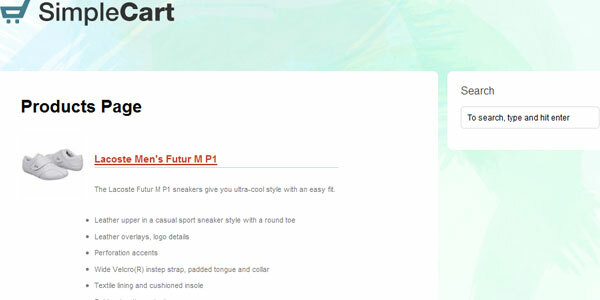 The theme is already integrated with eShop shopping cart plugin. WP STORE features: One click auto install, shopping cart included, multiple payment gateways, shipping options, tax managements, grid view/list view, blogging functionality and many more. ESTORE is a very clean and well organized WordPress ecommerce theme. ESTORE Features: New Custom Post Type for Slider, New Custom Post Type for Portfolio, New Custom Post Type for Products, New Custom Post Type for Testimonials, New Menu Manager, Auto Image Resizing with New Post Thumbnail, 4 Sidebar Position, 7 Page Templates, Option to use Left or Right sidebar position, Custom Widget, jQuery Cycle, jQuery PrettyPhoto, Multi Level Dropdown Menu, Cufon font replacement, Cross Browser Compatible, Well Documented, PSDs files Included. 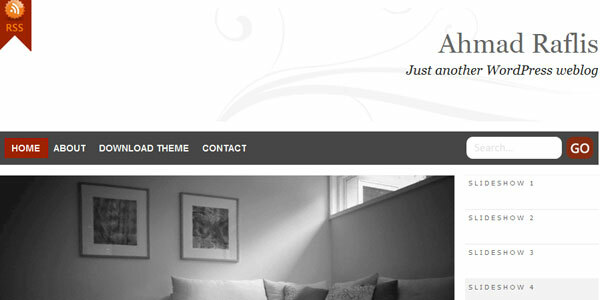 SOFA $hopper is a very trendy WordPress ecommerce theme. It does include 3 major payment gateways to process buyer shopping basket at the checkout; PayPal, 2CheckOut and Authorize.net. In addition, e-mail orders are also supported. The theme has Stock Inventory management built-in as well as Orders Overview/Tracking straight from front-end. Another cool thing is a featured products banner rotator – Piecemaker (Adobe Flash), fully integrated into system. Other Features: 8 built-in Widgets, Switchable layouts, multiple prices per product allowed, Entirely settable via theme Options page. OScomm is a clean, modern, web 2.0 style wordpress Ecommerce theme suitable for Online Store and shopping cart sites. 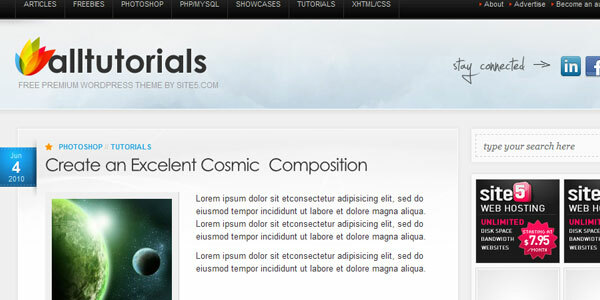 This theme is compatible with WP Ecommerce plugin.